We’re always looking for ways to sense what visitors are doing so that our digital experiences can react in ways beyond what people are used to seeing from their consumer devices. There isn’t yet a way to tap right into what people are thinking, but there is a new way to at least tell what they’re looking at. While it’s designed for gaming, we’re excited to check out the applications of the new Tobii Eye Tracker 4C for use in interactive environments like the ones Stimulant builds. Detect visual engagement with an idle kiosk and react to it, rather than just presence. Adjust a content-rich experience to show more of what a visitor seems to be interested in. Gather analytics to determine if people are looking but not touching, and use that to improve the experience. Use gaze for interacting with a digital mirror, where touch would cover up the content and leave fingerprints. Use eye tracking without a screen, to make lighting or kinetic elements react to a visitor’s interest. Recording of one of the eye tracking demos along with the eyes being tracked. 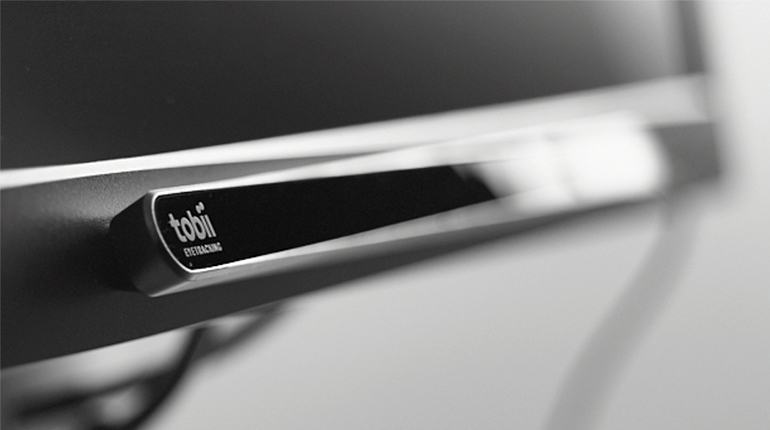 The Tobii device can enable those scenarios, within limits. 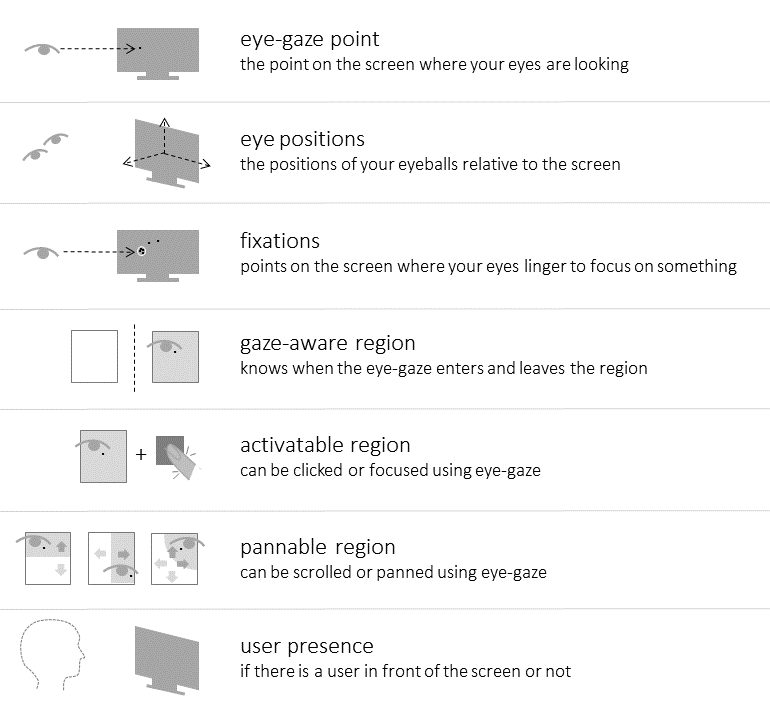 The SDK provides things like the screen-space coordinate of the visitor’s gaze, the positions of each eyeball relative to a screen, and even basic head tracking. The Unity and WPF toolkits allow for easily adding behaviors to UI objects, so you can do simple things like click a button by looking at it or scroll an area by looking around. There are also lower-level C++ hooks for use in other graphics frameworks. Because it’s designed for desktop gaming use, it’s limited to tracking a single person on a single screen at a time at a distance of a few feet away. The sensor must be mounted to the bottom bezel of the display tilted up at the user, and the largest display recommended is 27″. For these reasons, its use is limited to more close-up, single-user interactions than something like a depth camera with wider coverage. If eye tracking sounds like an interesting way to make your project stand out, let’s talk about bringing it to life.